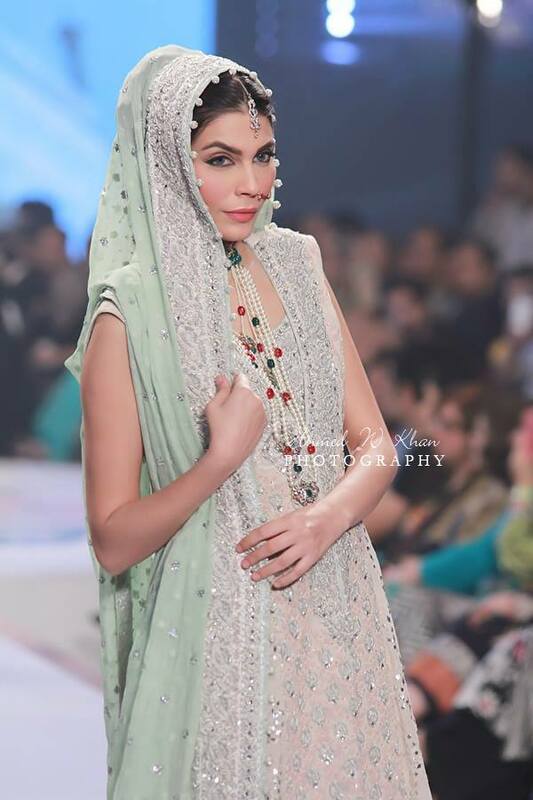 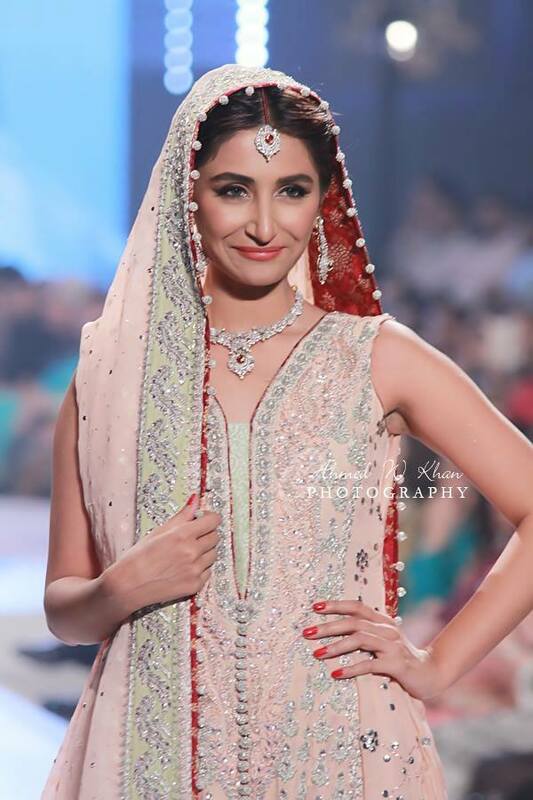 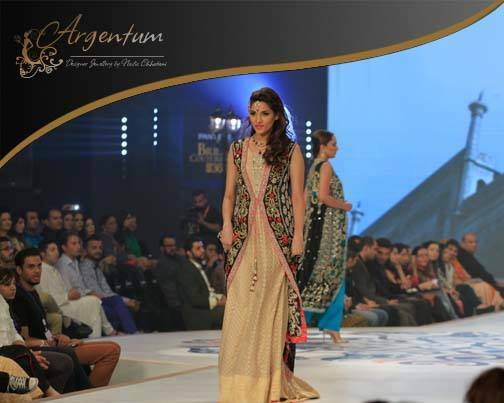 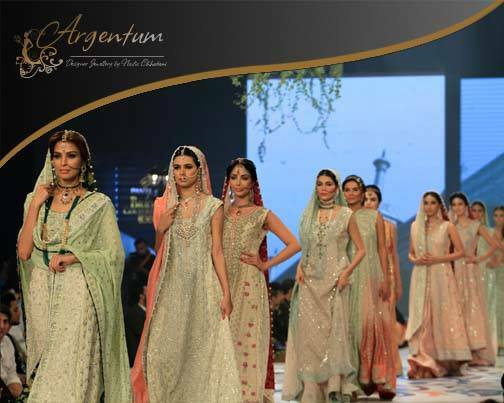 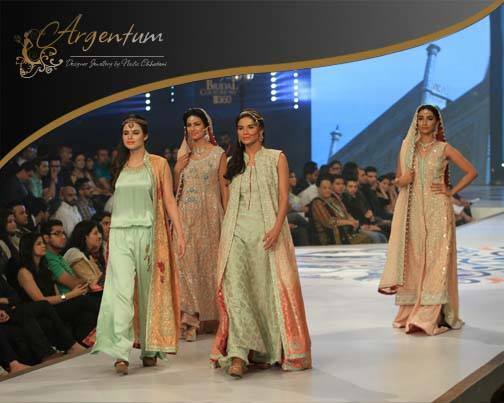 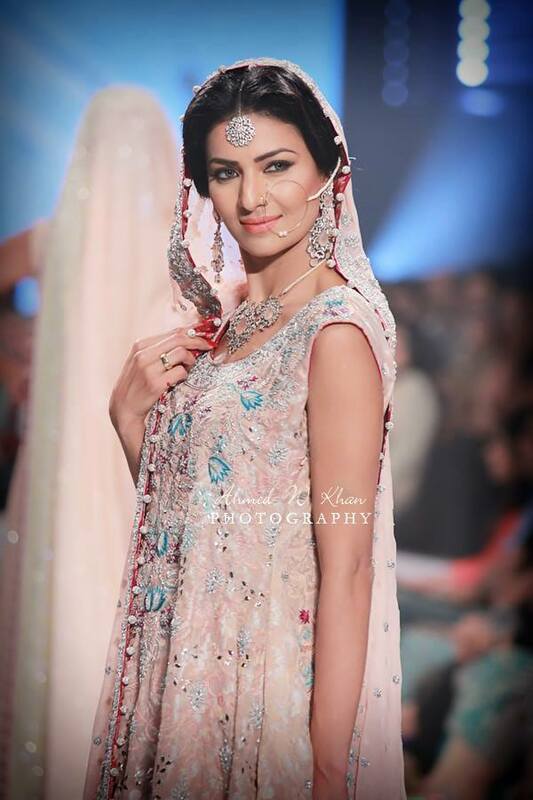 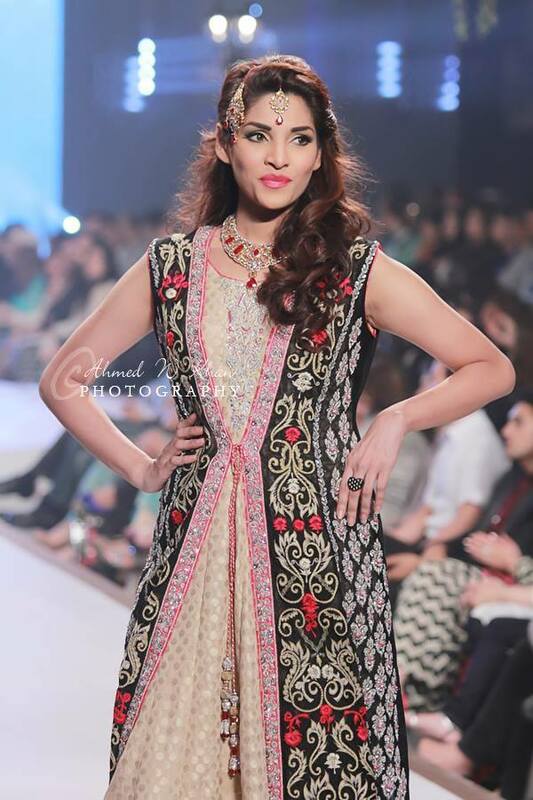 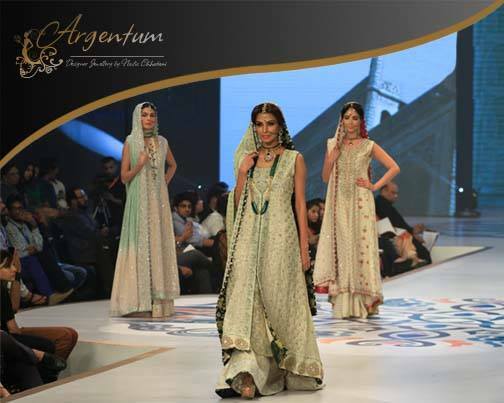 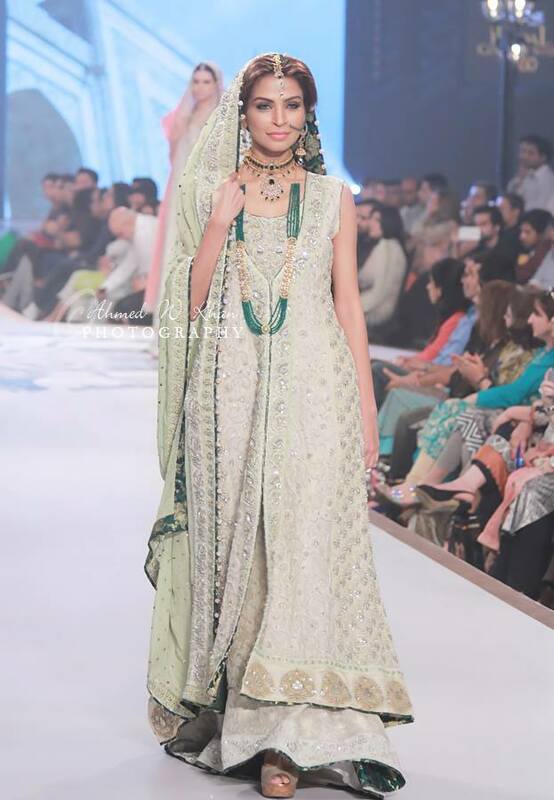 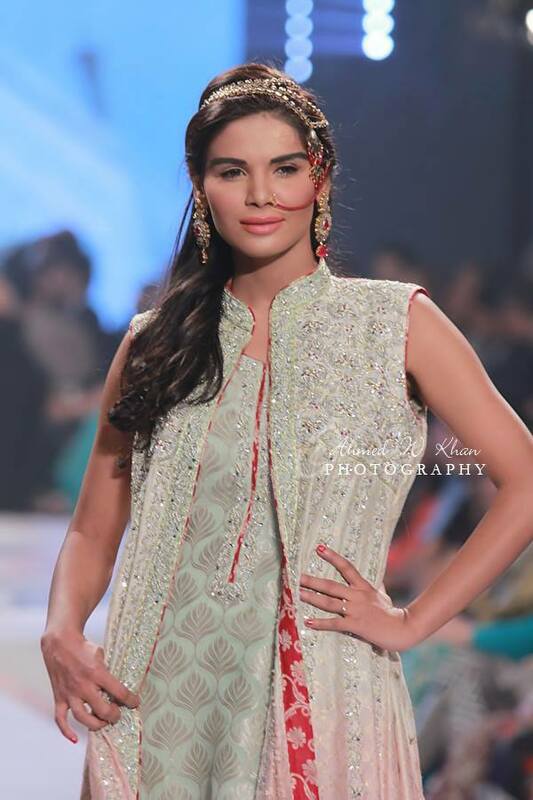 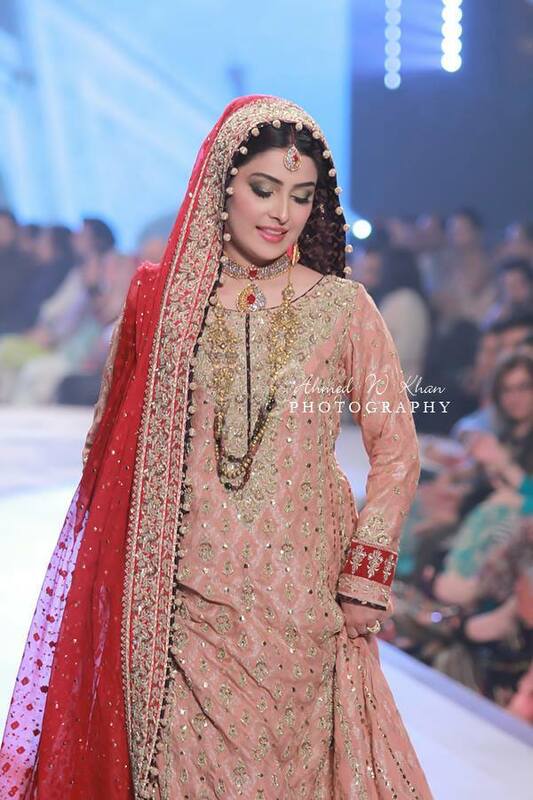 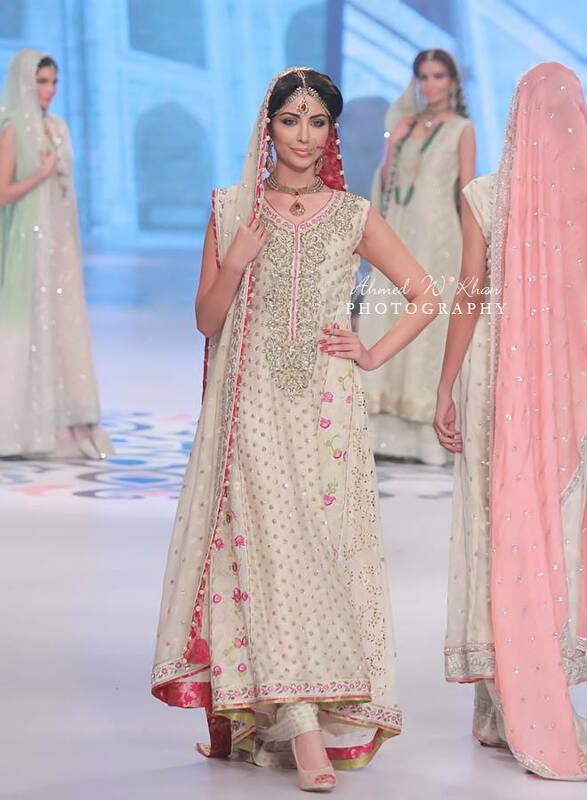 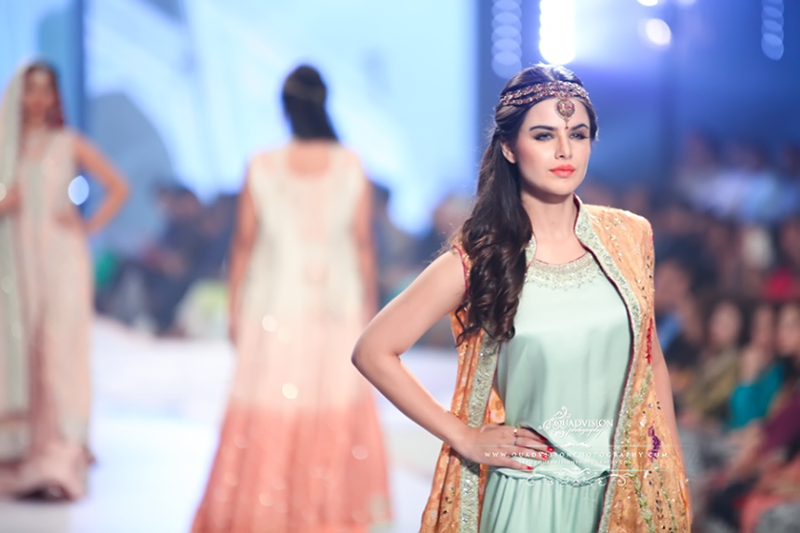 Bridal Couture Week is a mega show held every year for the designers and brands to showcase their collections via ramp walk, which is certainly the best way to catch everybody’s attention and best promotion technique. 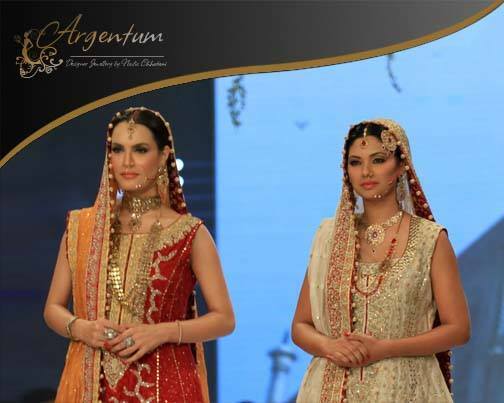 One such show has been conducted a few days back where the main focus was Bridal Jewellery. 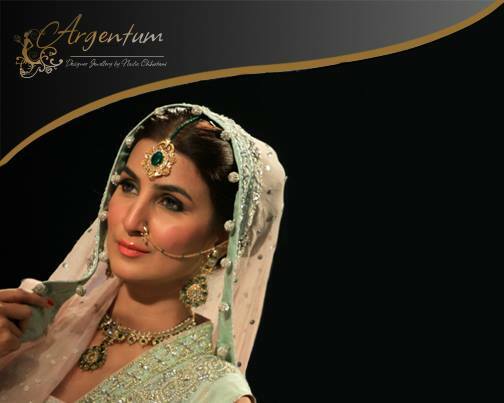 We have brought a special episode of BCW featuring Argentum Designer Jewellery by Nadia Chhotani. 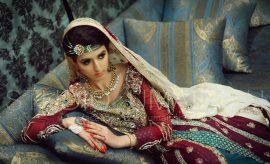 Wearing jewels has always been one of the favorite tasks of women, especially on occasions, parties and ceremonies they find themselves incomplete without ornaments. 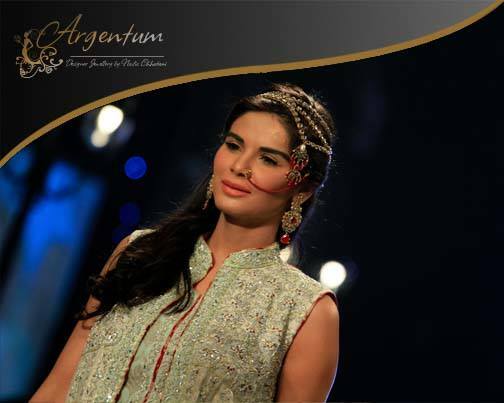 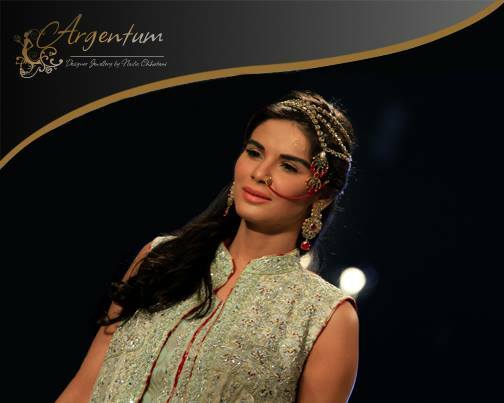 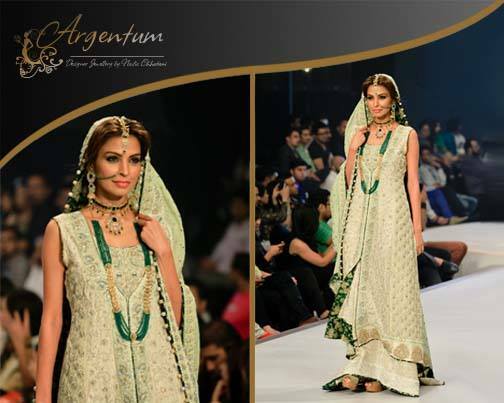 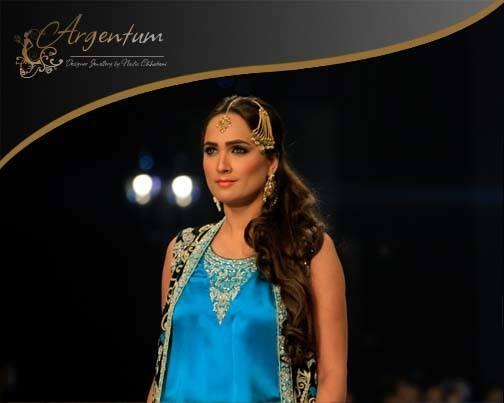 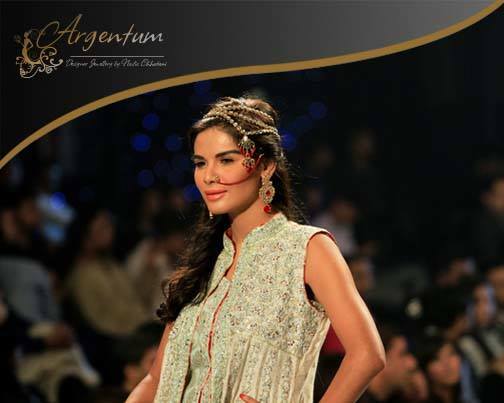 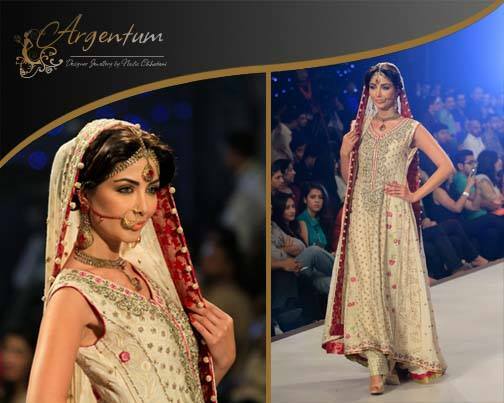 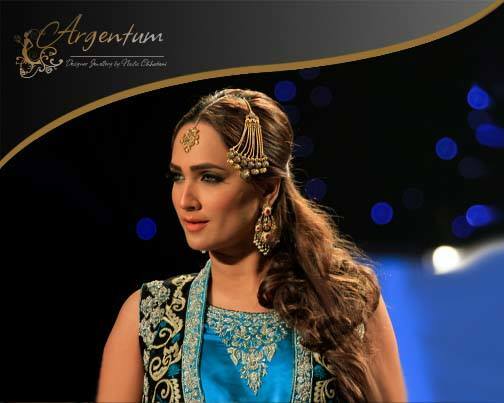 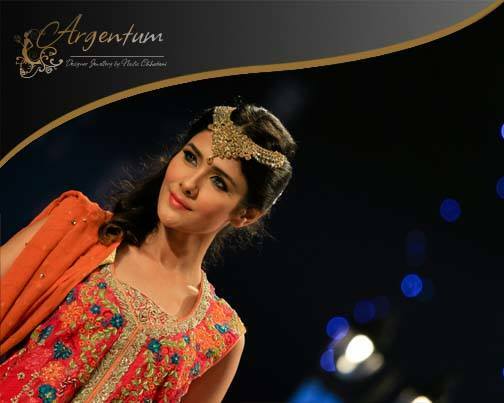 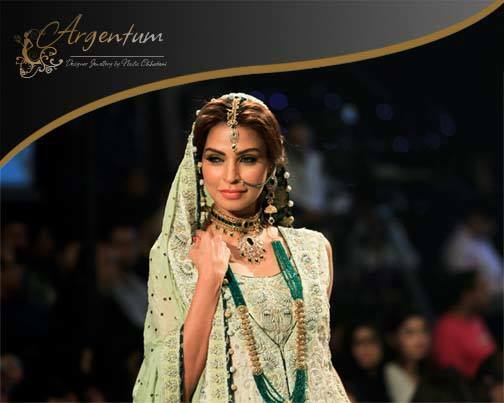 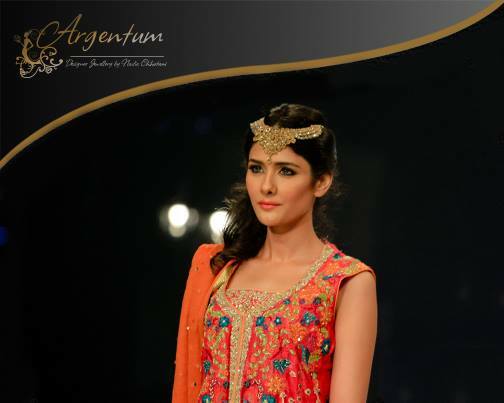 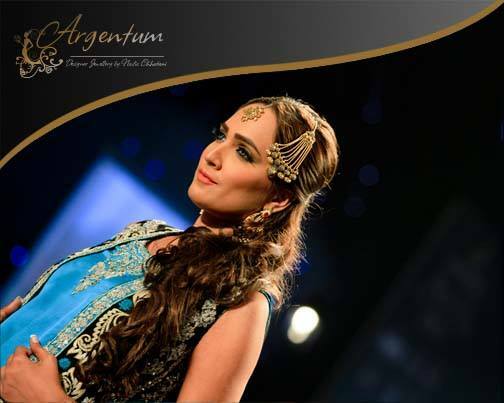 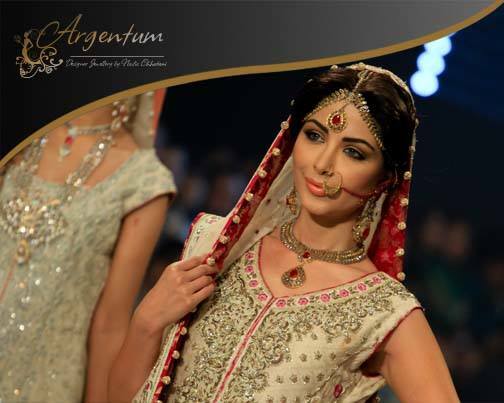 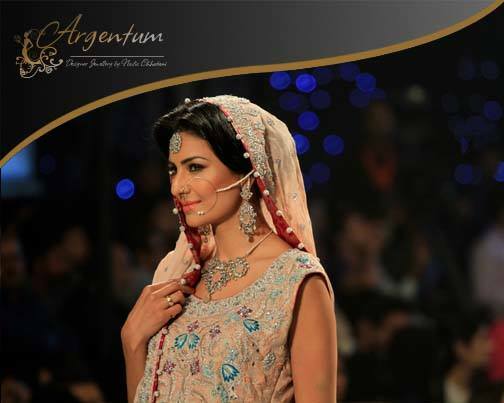 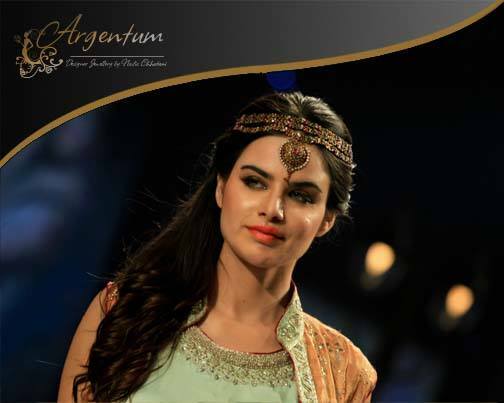 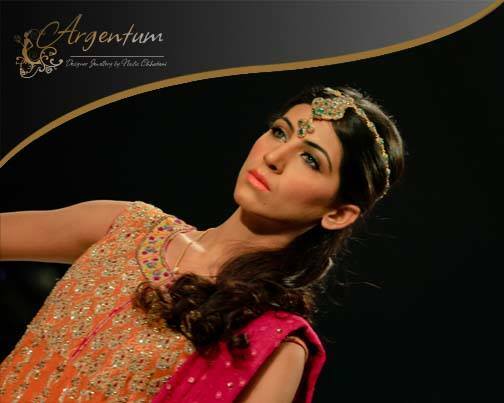 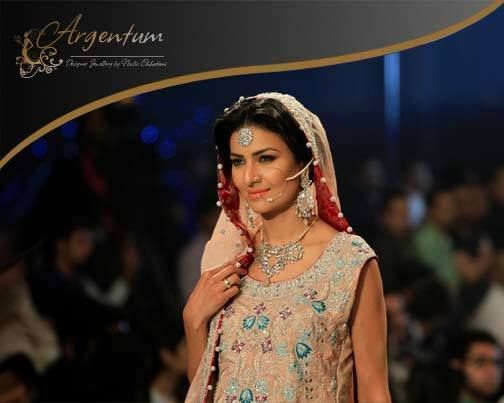 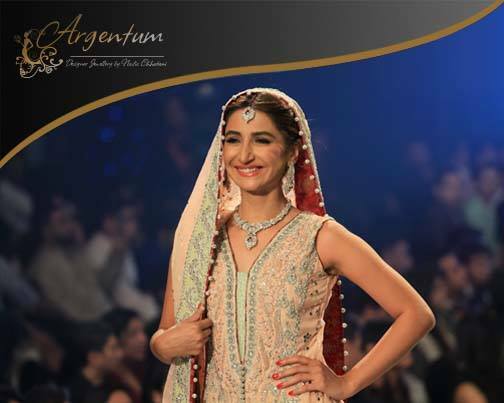 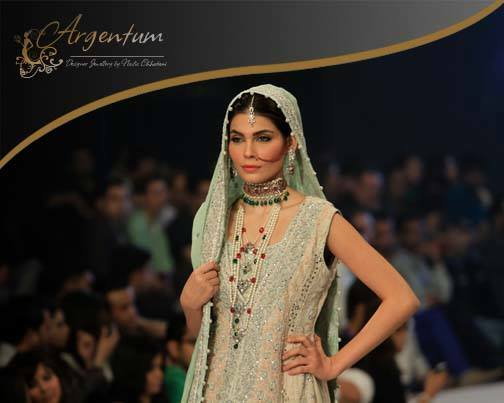 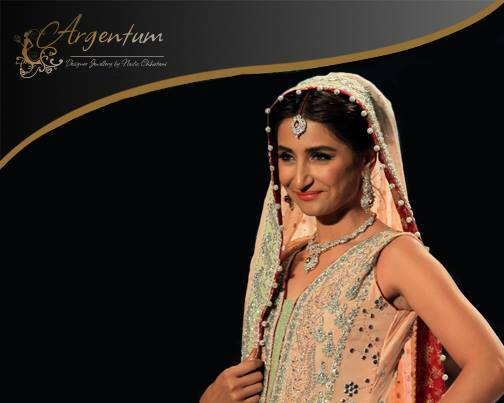 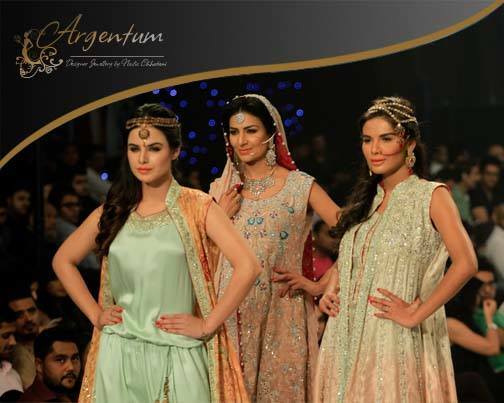 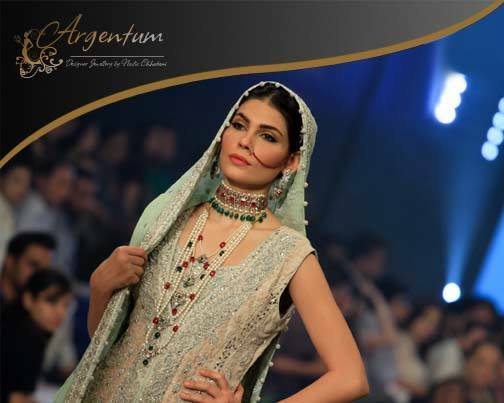 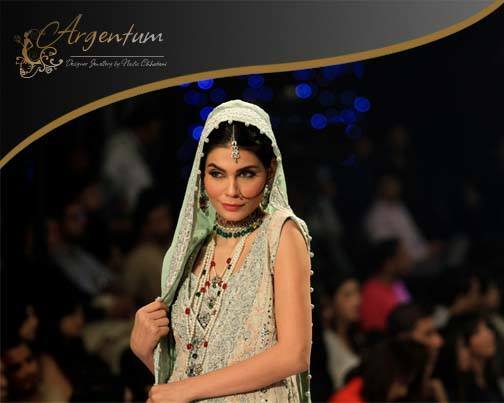 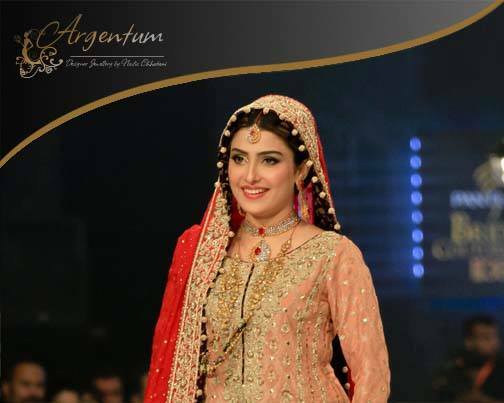 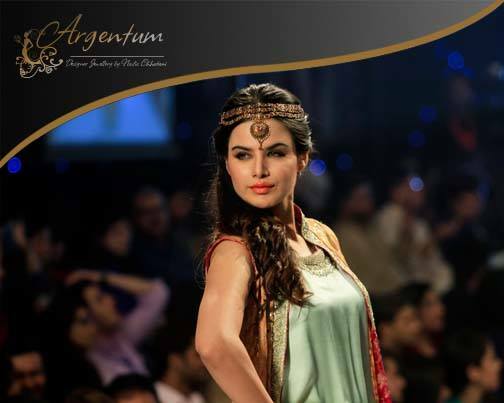 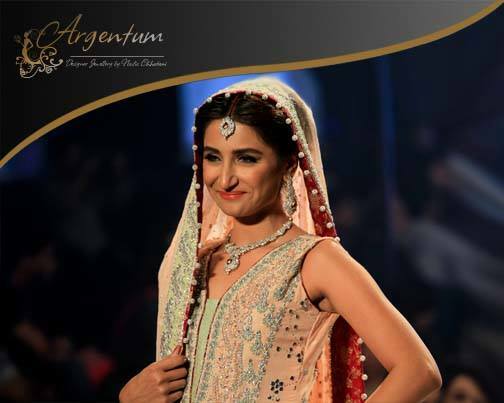 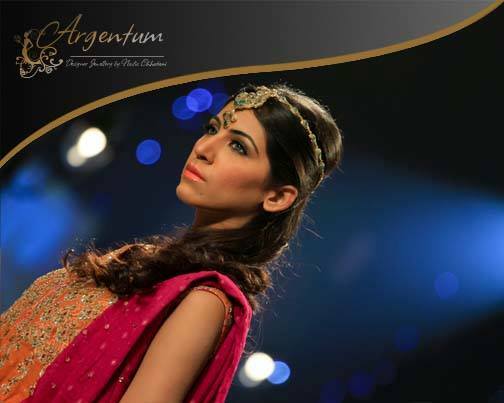 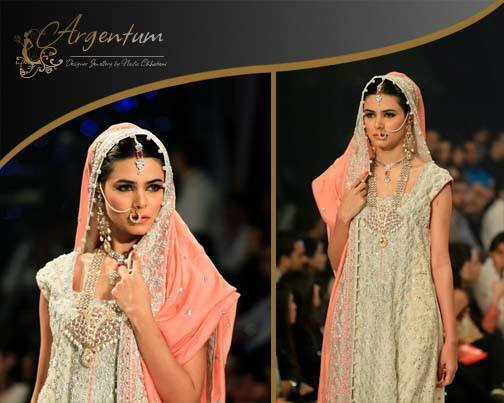 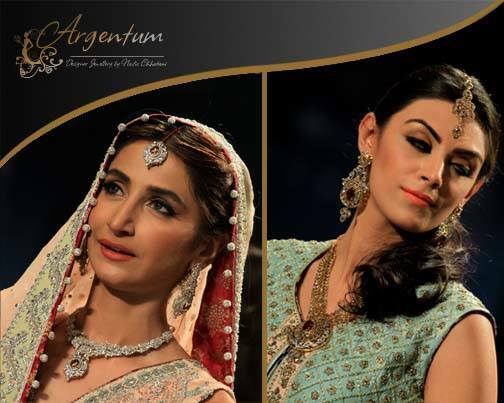 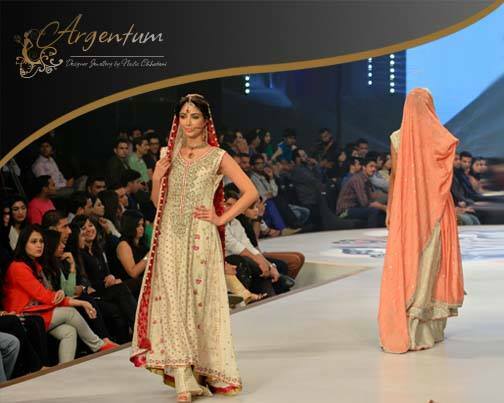 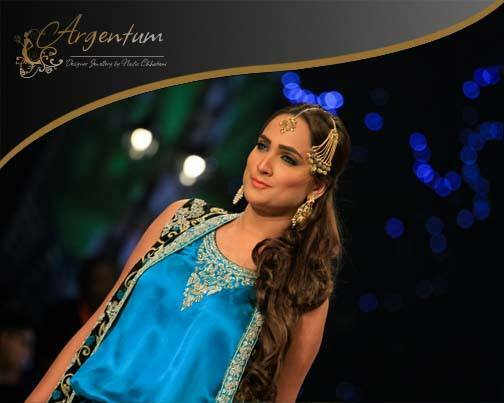 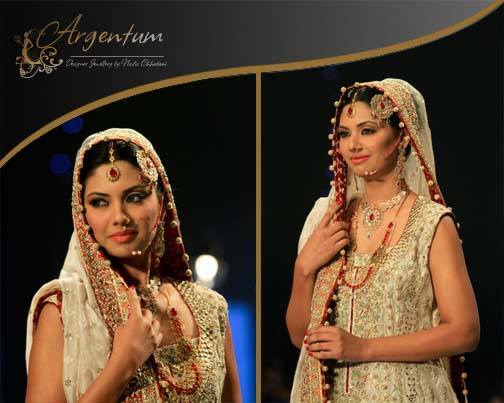 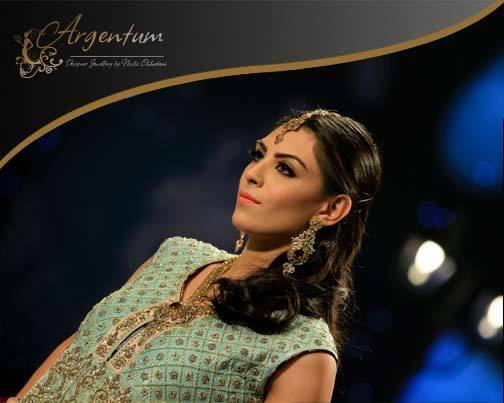 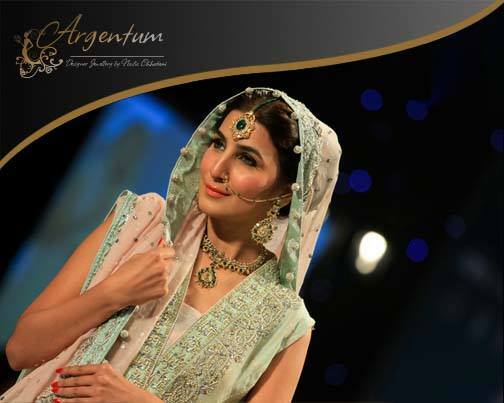 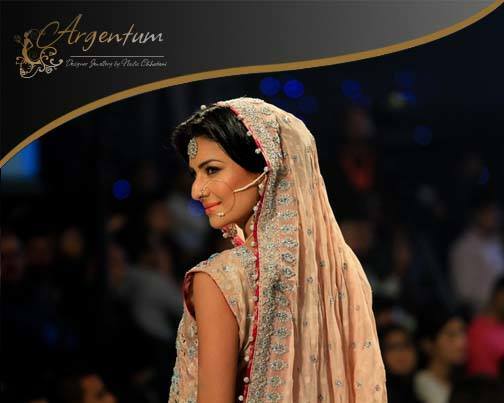 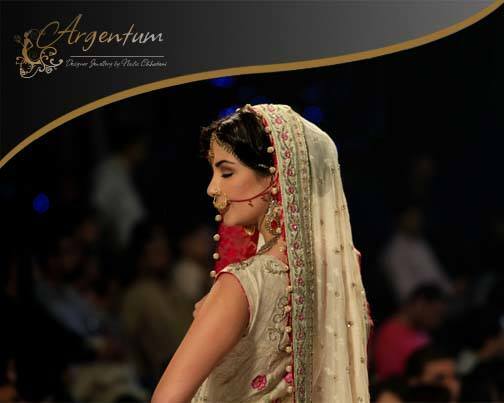 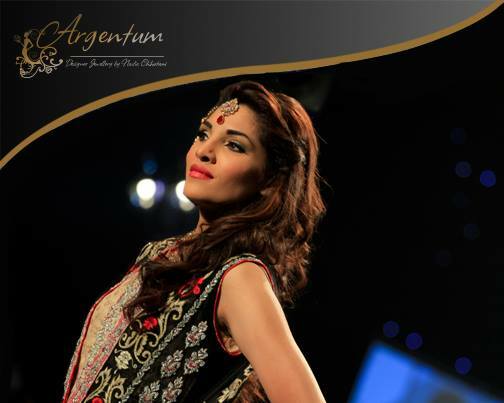 Argentum Designer Bridal Jewellery designs launched this year are breathtaking. 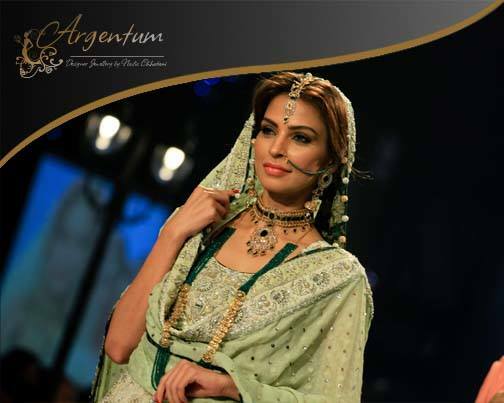 The concept of wearing jewelry was started back in the times of Mughal Emperor by Kings and Queens and now it has become an ever increasing trend round the globe especially in the Asian countries including Pakistan, India and Bangladesh. 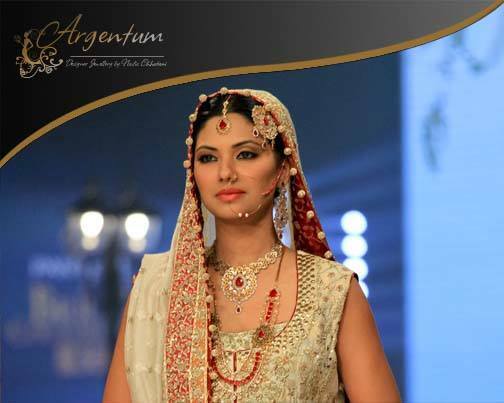 With all it’s charm and glamour jewellery doesn’t only adds to the beauty of femininity but also depicts marital status. 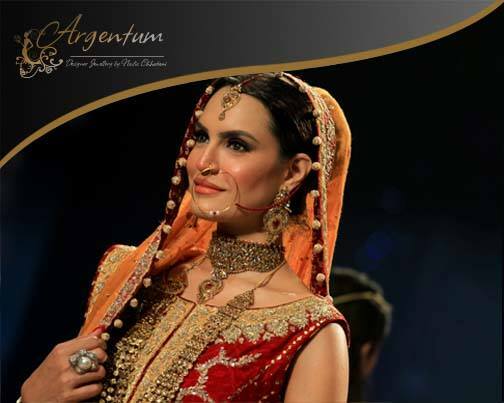 Most specifically when you talk about gold and diamond jewells, they are not affordable in this era as the prices of gold have raised a lot since past few years, yet every lady wishes to have gold or diamond jewels at least on her wedding day, as it is the day that comes once in life time. 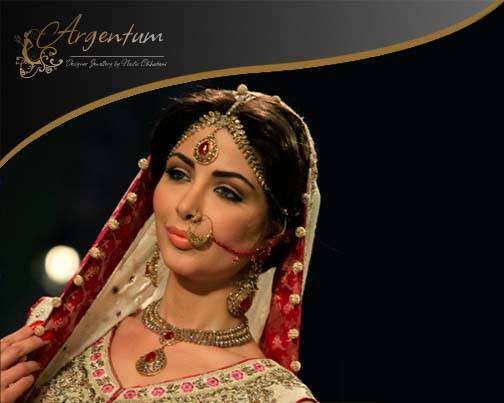 Certain designers and brands are busy in manufacturing ornaments which look amazingly similar to real gold and diamond jewells. 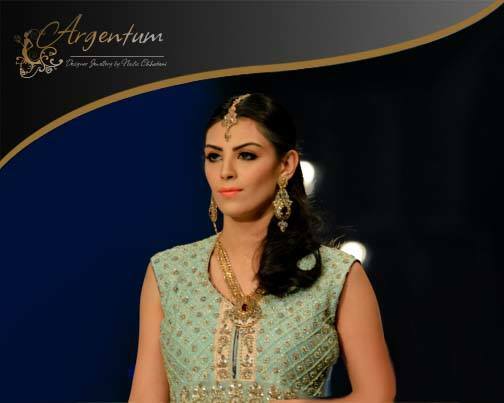 One such name in the market with pretty good service and reputation is the Argentum Designer Jewellery by Nadia Chhotani. 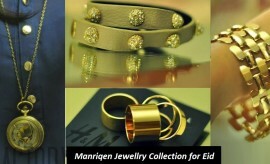 This label was started back in 2009 and since then it is coming up with marvelous jewellery designs for women that is why modern ladies find no hesitation in selecting this brand as the best option for filling up their jewellery boxes. 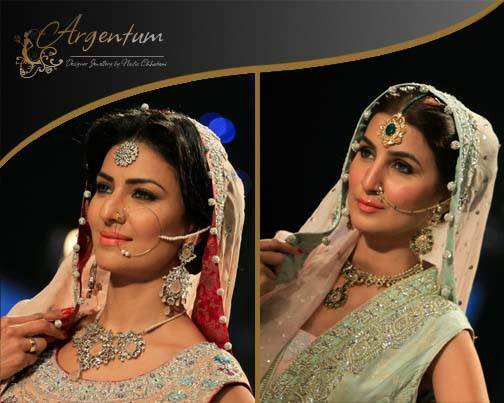 Nadia Chhotani has displayed her latest Bridal Jewellery Collection in the Bridal Couture Week held a couple of days back, where different gorgeous models rocked the ramp by wearing stunning jewellery sets including necklaces, pendants, bangles, bracelets, matha pati, jhoomer, ear rings, nose rings, maalas, rings and complete heavy bridal sets. 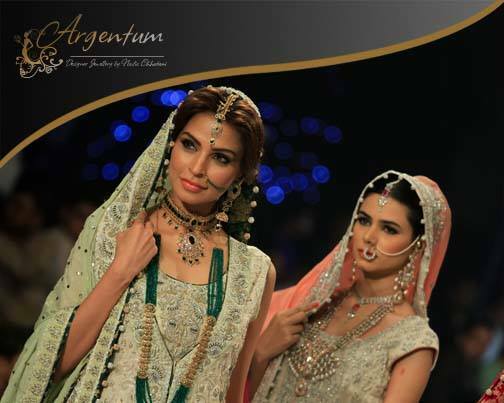 These accessories hold a true royal essence by incorporation of beads, stones, pearls and a wonderful shimmery look. 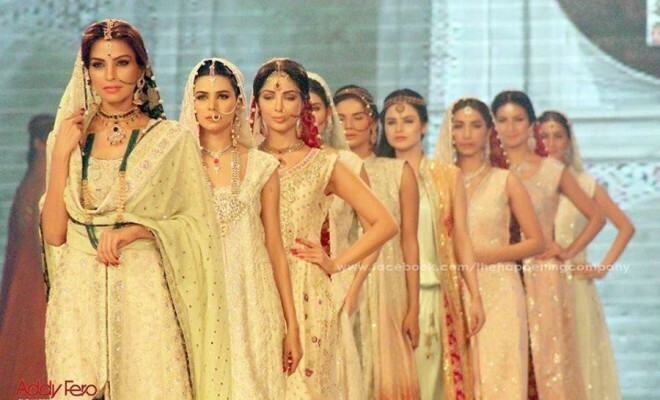 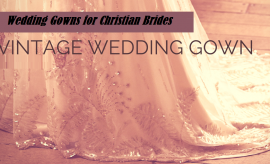 This collection is wonderful enough to prove itself a source of inspiration for young brides and can be smartly incorporated into any wardrobe. 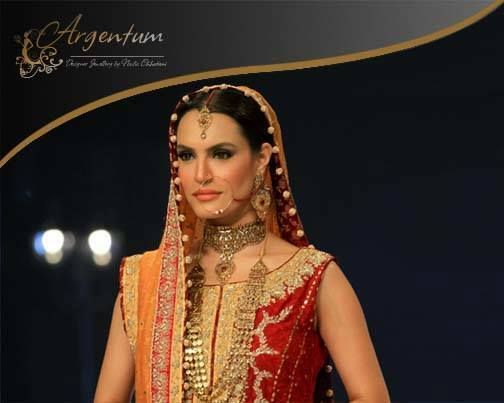 Further, this assortment is equally fine for formal wear and can go fine with fancy dresses on different occasion, ceremonies and parties. 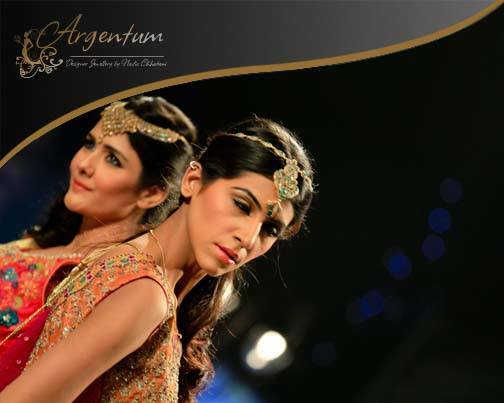 Posted below is a photo gallery entertained with all the photo shoots of this mega event. 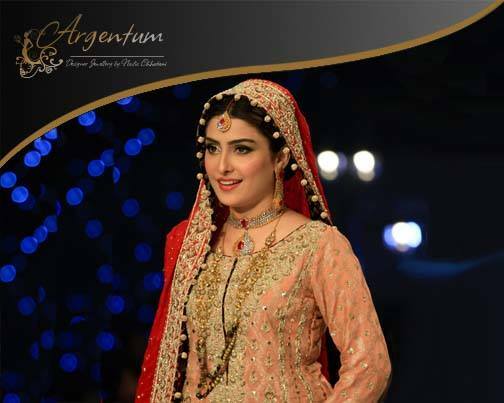 Each photograph depicts the articles with a closer and clear view. 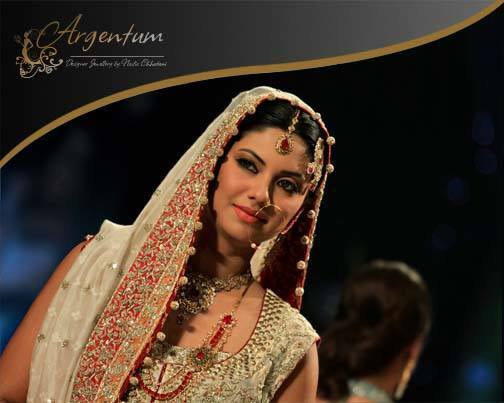 Enjoy the photo shoot and pick up the most desirable for your big day.